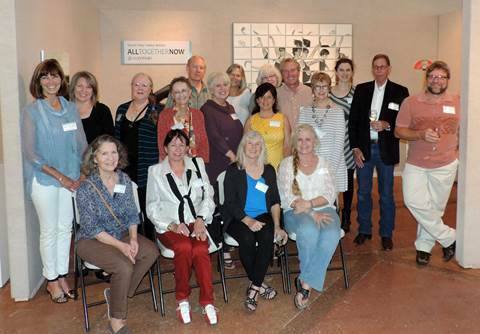 A borrowed photo from the Elverhøj Museum: many of the artists in the “All Together Now” show at the opening. For those who missed the opening reception to the “All Together Now” exhibit currently on view at the Elverhøj Museum last Saturday, below are a bunch of photos of the artists with their piece. Click on the photos to view them larger. 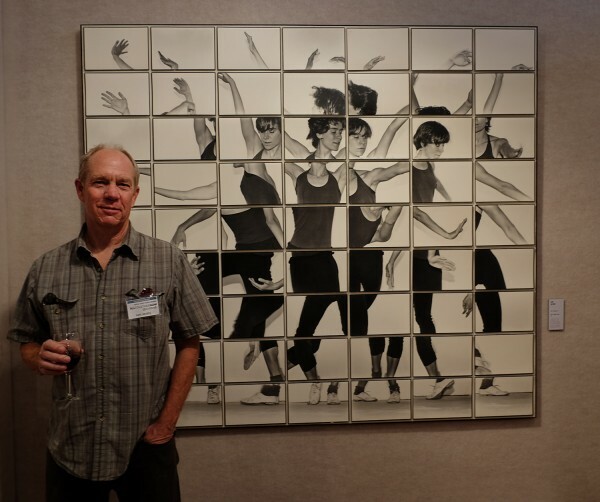 This show is a fun amalgamation of artists who have opened their studios to the public during the Wildling’s Santa Ynez Valley Artists’ Studio Tour over the last decade or so. The tour is cancelled until the county finalizes its regulations on art tour, but now many of the diverse artists’ work can be seen together at the Elverhøj’s current exhibit. 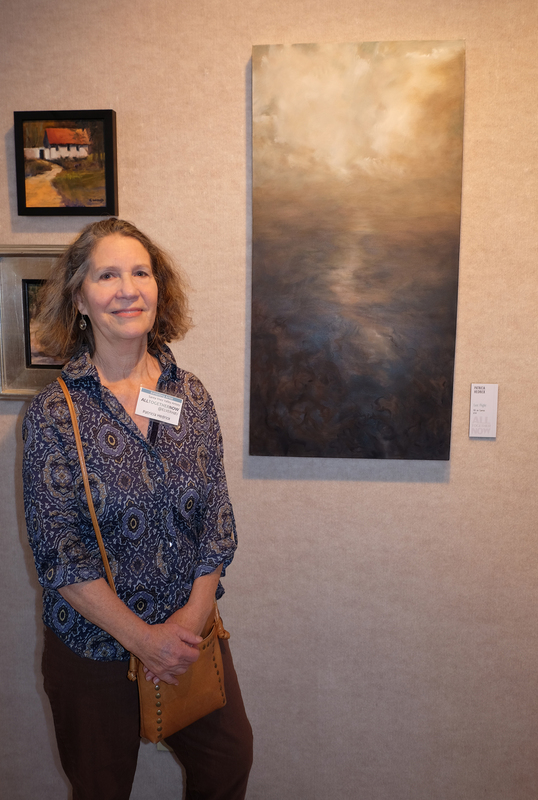 There are many Saturday events happening while the show remains up, and of them, I will be participating in the artist panel discussion, “Inspiration and the Creative Process,” on July 11 at 4 pm. See below for more details on the events. 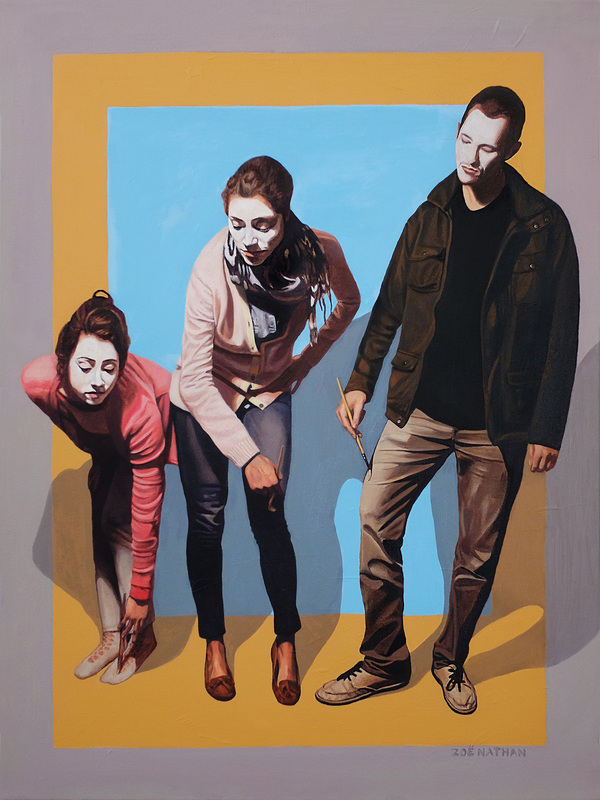 “Painted into Being,” my submission for the All Together Now show. 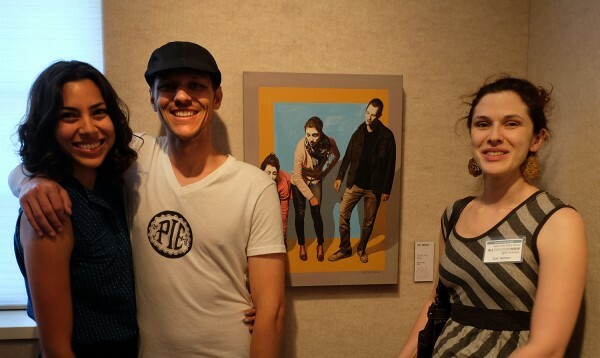 With two of the models for the painting on the left. 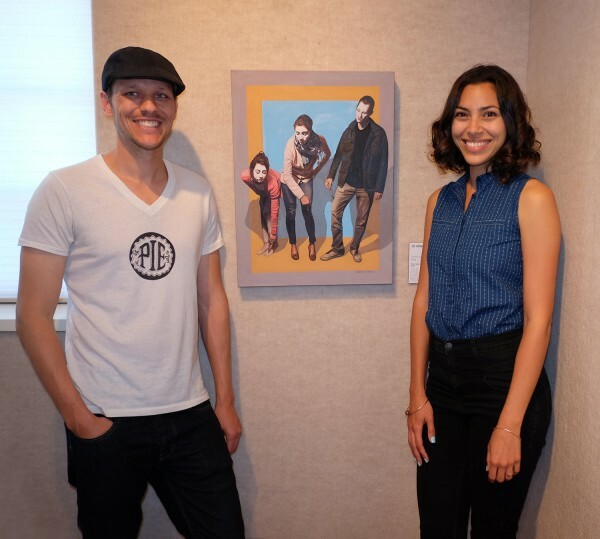 Two friends, who modeled for the piece. 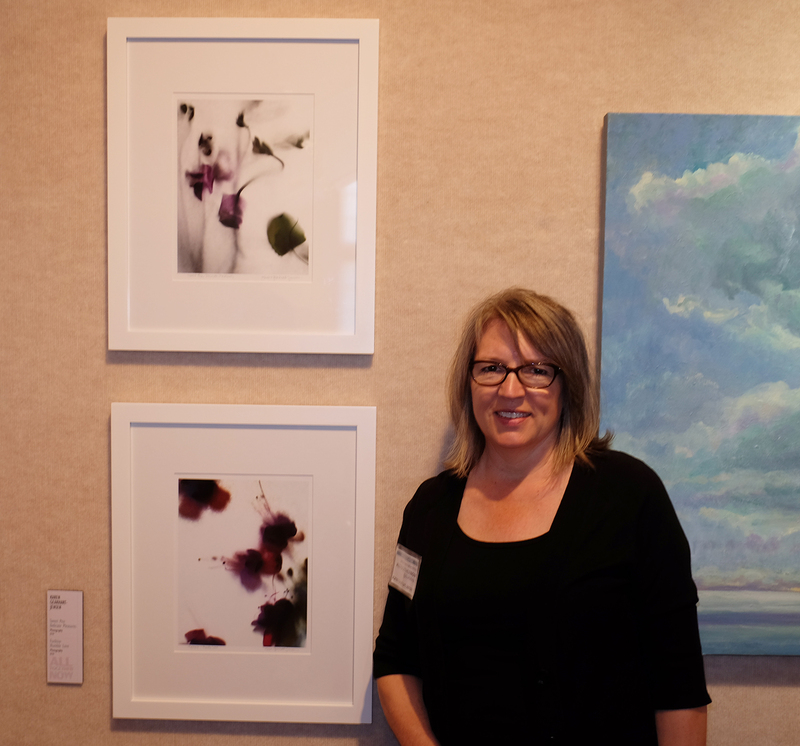 Karen Gearhart-Jensen with two photographic pieces. Nancy Yaki with her triptych. 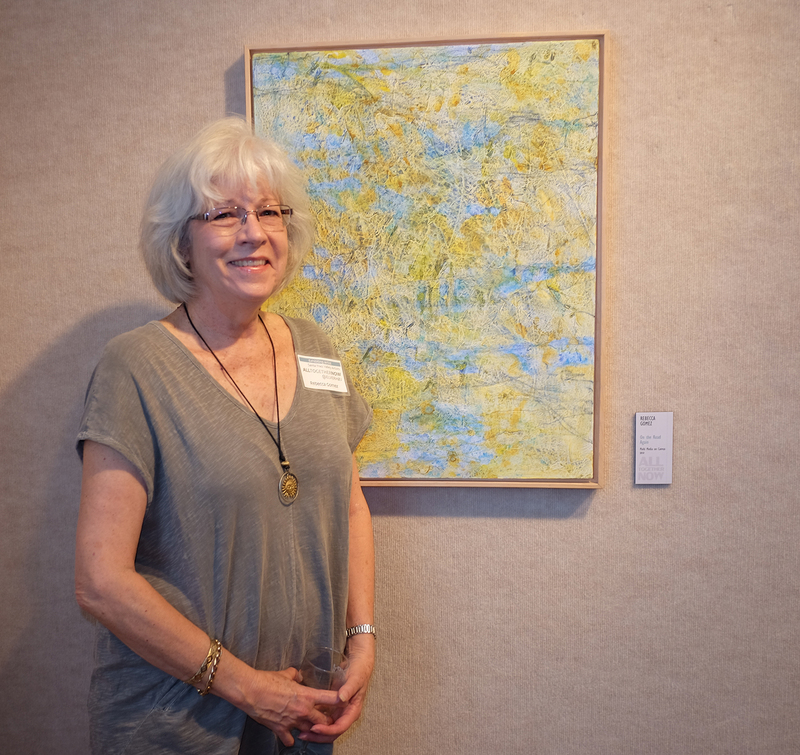 Rebecca Gomez with one of her abstract oil paintings. 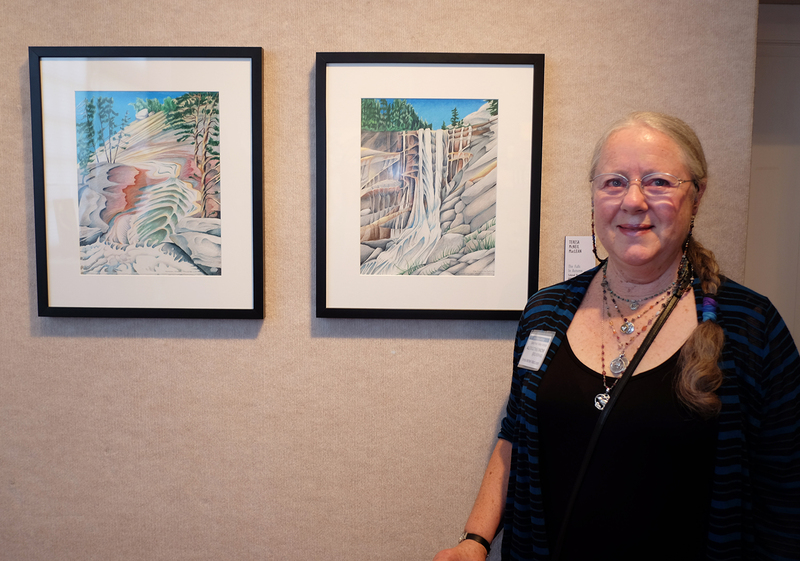 Teresa McNeil MacLean with two of her Prismacolor landscape drawings. 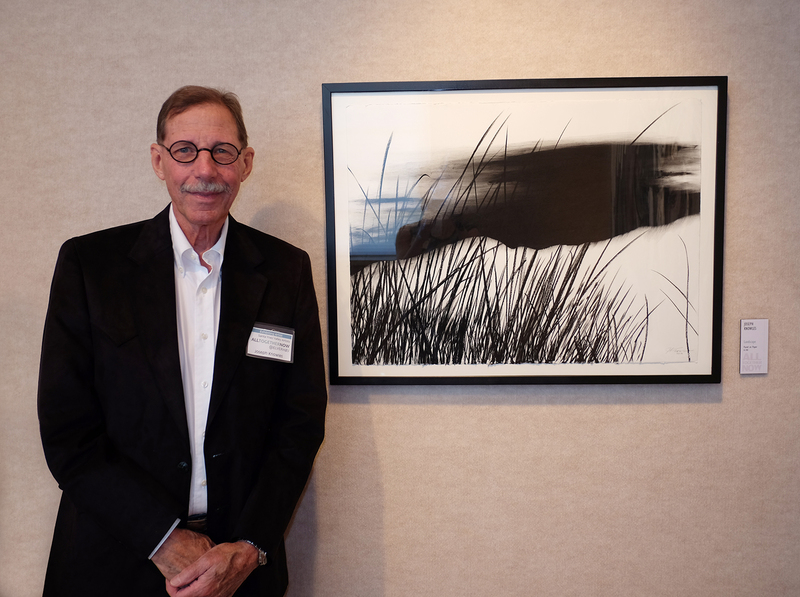 Joseph Knowles with his landscape piece. 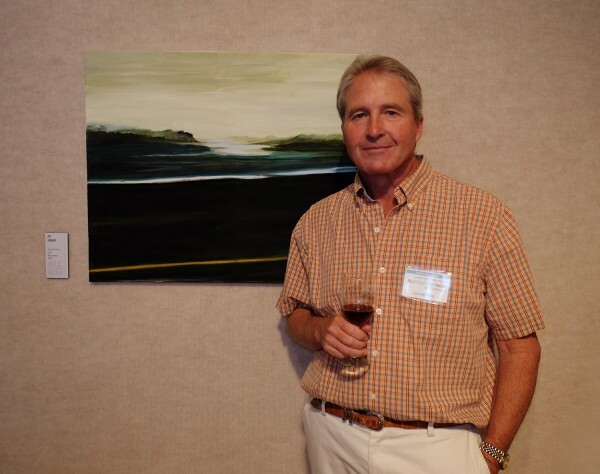 Jim Farnum with his oil landscape painting. Kam Jacoby with his figurative photo-collage piece. 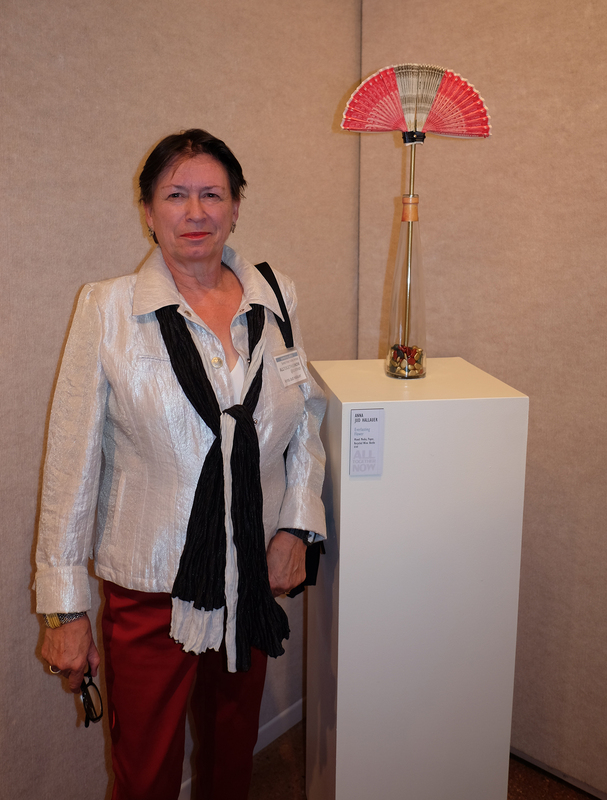 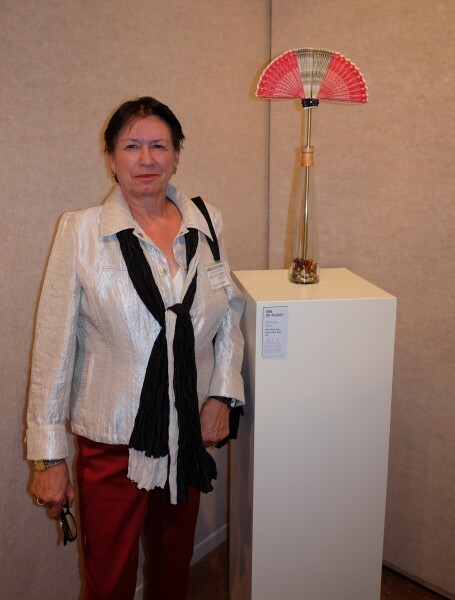 Anna Jud Hallauer with one of her sculptures. 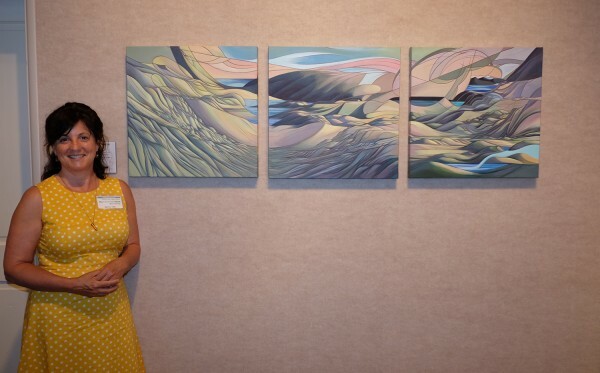 C. Wood with two of her landscape paintings. 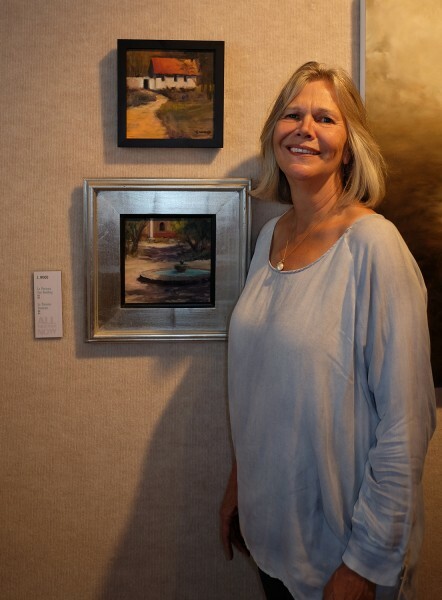 Patricia Hedrick with one of her atmospheric oil landscape paintings. 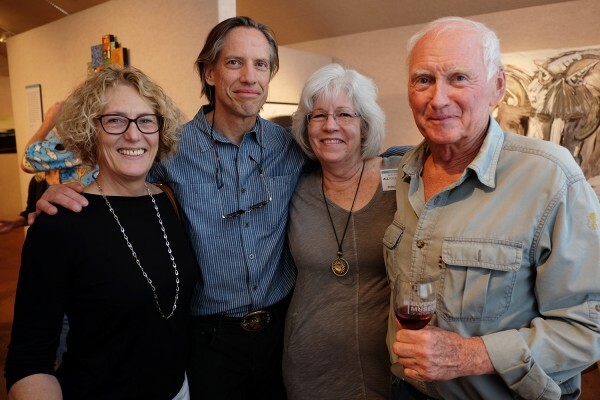 Artists Rebecca Gomez, William Cates, and friends. 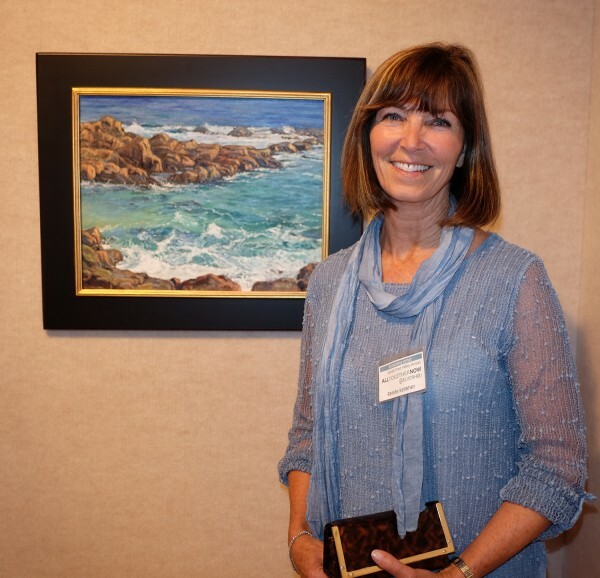 Renée Kelleher with her seascape painting. 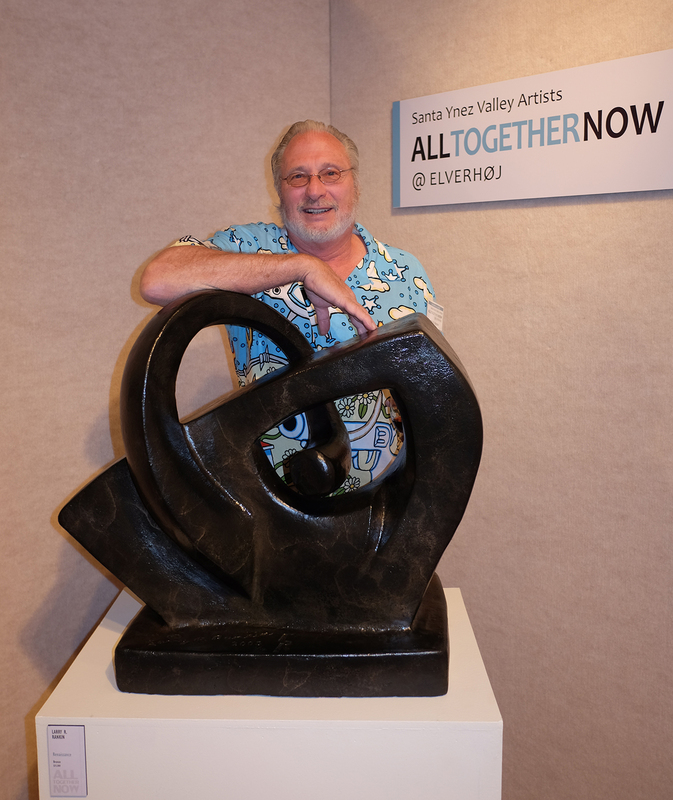 Larry R. Rankin with one of smaller bronze sculptures. 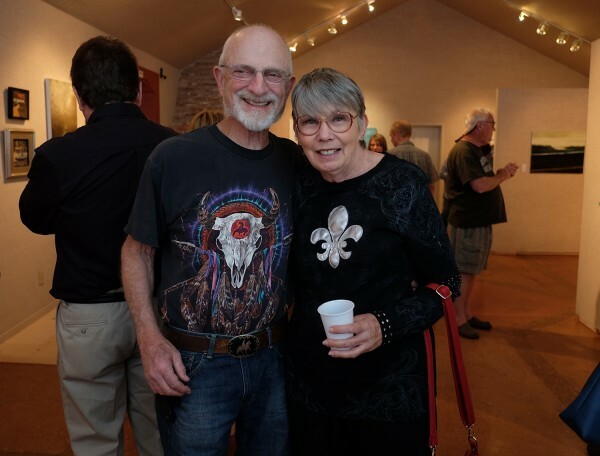 Barry and Sandy Nathan, my parents.